Paquis invites visitors with a superb juxtaposition of wealth and elegance. 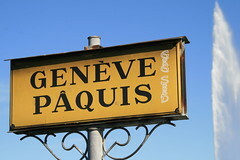 Paquis is one of the most wealthy neighborhoods in all of Geneva, and is situated in the heart of the town, between the main train station and Lake Geneva. Yes, this is where the wealthy as well as the famous come to reside and many of them stay in the Beau-Rivage, Hilton, or Bristol, all of which are some of the most expensive accommodations in the city. Swimming in the lake. Dive in from anywhere along the beautiful seaside at Des Bains des Paquis. Windsurfing and water-skiing all day through the crystal-clear waters. Lounging on the beach. You can rent an umbrella and then you will truly have a magnificent view of the large fountain in Lake Geneva as well as the white lighthouse. There are many cafes and restaurants in Paquis as well. A Swedish massage can be had at the hot baths. These neighborhoods are filled with restaurants whose chefs come from many nations. The shopping experience in the Paquis neighborhood is also quite affordable: make an initial visit at Rue des Paquis to explore trinket shops, antique dealers as well as tiny book dealers. It's a great neighborhood for finding one-off gems like locally-crafted jewelry as well as other Geneva mementos like a Swiss watch or Swiss Army Knife. When you're done shopping, simply take your pick of the a large number of eateries in Les Paquis, some Japanese, some Chinese, some Moroccan, to taste authentic ethnic cooking. It's advisable to carry along enough money: most restaurants in this neighborhood still don't take credit cards. 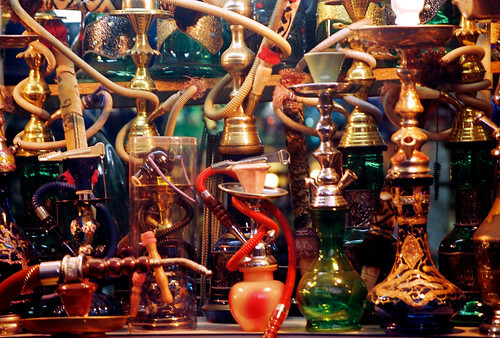 After dinner, check out a geniune Middle-eastern lounge and why not try smoking some shisha tobacco while sipping on wine or tea on large cozy pillows. The hours will fall away, in a calm smoky haze, as you relax, speak to the your fellow smokers nearby which makes for a great intimate night out. Bargains are plenty to be had at the large open air market at 1204 Plainpalais, Geneva's most famous flea market. The flea market grounds are transformed at Christmas time, when European Christmas Markets appear in every neighborhood of Geneva. The flea market is open every Wednesday and Saturday. You will find almost anything here: rare books DVDs CDs antiques and used furniture,which might be a good a good, cheap way to furnish your apartment in Geneva. The merchants are open to bargaining and the flea market is open rain or shine.